A tree in the mahogany family Meliaceae. 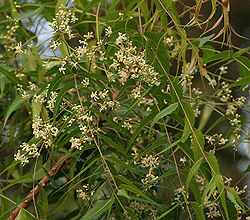 Neem is a fast-growing tree that can reach a height of 15–20 m (about 50–65 feet), rarely to 35–40 m (115–131 feet). 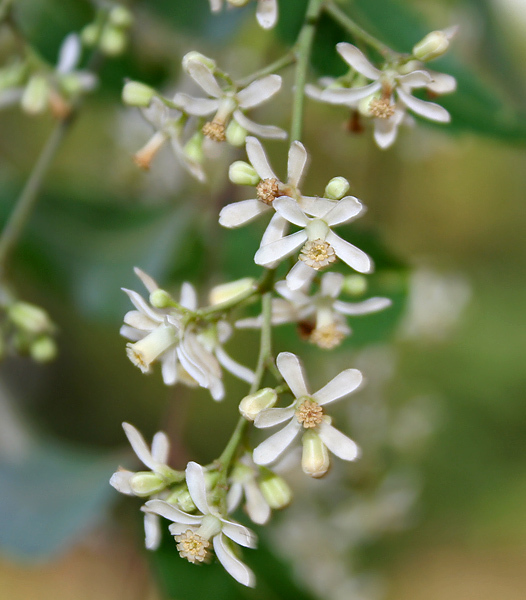 It is evergreen, but in severe drought it may shed most or nearly all of its leaves. The branches are wide spread. The fairly dense crown is roundish or oval and may reach the diameter of 15–20 m in old, free-standing specimens. It is said to treat 40 different diseases. Taste of Neem leaves: Very salty and bitter.